Encase E01 Image Viewer application permits to open and read .e01 image files of any size or types. View .e01 image files multiple times and scan corrupted or damaged image data. 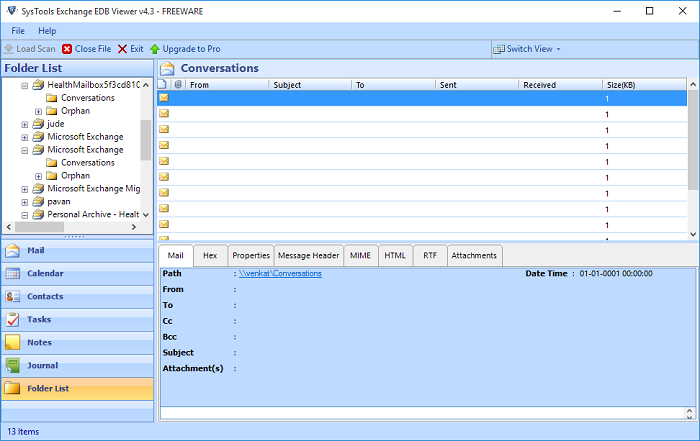 Add and open E01 image files which containing emails with associated attachments. E01 image reader show selected data with its attributes such as file name, created date, modified date, last access date, file size (mb). Encase EWF (.e01) Image Viewer tool provides an option to add the folder which has multiple E01 image files. The program will insert all the image files present in that folder. 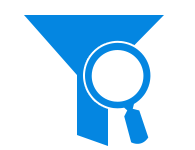 The forensic user easily views the status of the image data file being scanning or as scanned. Once the scanning completed, an investigator easily examines all the EWF files. E01 image reader maintained the file structure with attributes. 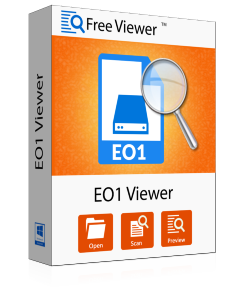 E01 Image File Viewer utility offers advanced search option which allows a forensic user to find and filter file information. 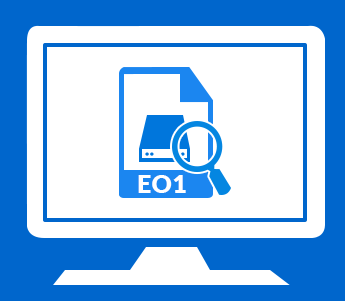 An investigator inserts any word or term to search information within the E01 image files. 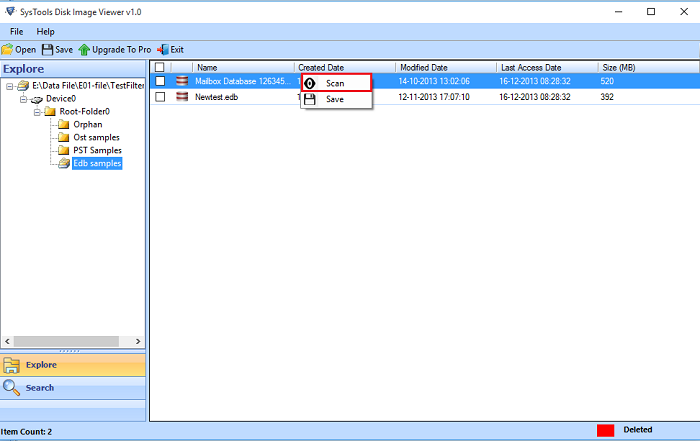 E01 image file reader allows setting a specific date range with "From" and "To" dates and search emails containing within the defined date range. Also search files by Created, Modified and Last Access Date. Open .e01 image file without required Encase software environment and examine emails from EWF image folders. This tool supported by any Windows operating systems version such as 10, 8.1, 8, 7, Vista, XP, XP SP2, Server 2003, Server 2008, etc. 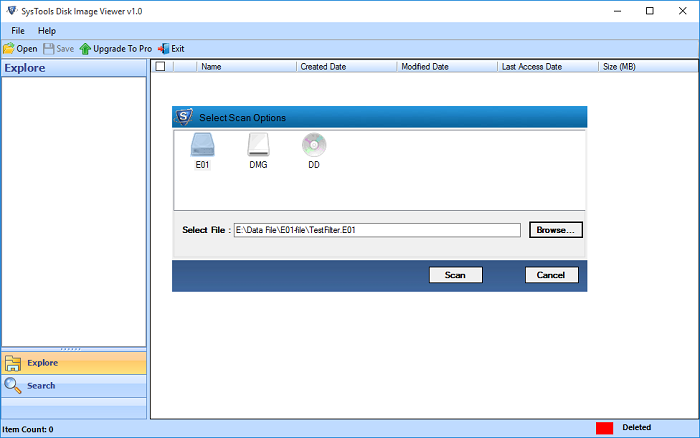 E01 image file viewer software offers easy to use and simple graphical user interface for forensics investigator to examine Encase image files. Step 1 Launch E01 Viewer Tool to Extract Image Files. Step 2 Scan and Open E01 Image Files. Step 3 Click on Scan Option to Read E01 Image Files. I am not able to open EWF image files. Can E01 Viewer help me to extract image files? Yes, Encase E01 image reader is capable of view .e01 image file. The software is specially developed to open E01 image files of any type even corrupted or damaged. I have Encase image file of 10 GB. Can I view them using E01 image file viewer tool? Yes, E01 image file reader allows you to extract Encase image files of any size. There is not any file size limitation to open .e01 image files. Is there any chance of corruption in image files, while extracting Encase E01 files? 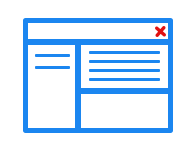 No, E01 extractor tool is completely safe and secure to view E01 image files, because it is fully tested and used by many forensic users. 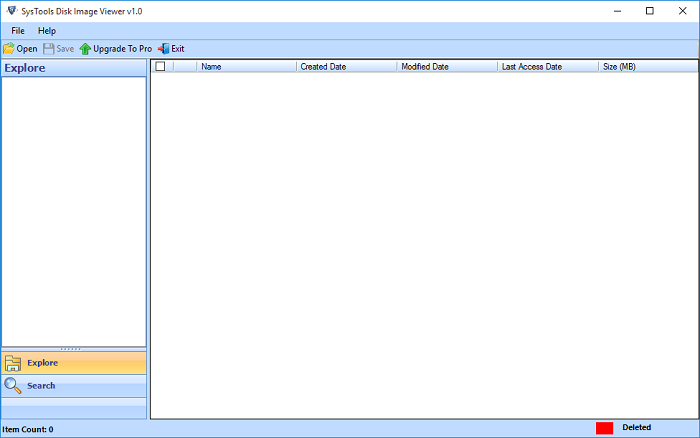 Is the Encase program environment is necessary to extract E01 Image file? No, E01 image file viewer doesn’t require Encase software environment to view E01 image files. This is completely a standalone tool. Can I open E01 image file from any versions of Windows Operating System? Yes, E01 extractor tool allows of read E01 image file from any Windows OS version as 10, 8.1, 8, 7, Vista, XP, XP SP2, Server 2003, Server 2008, etc. "Well developed a program for Forensic Investigators. 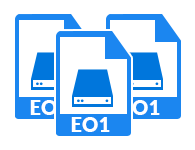 Easily extract E01 image file of any size or any type even corrupted. 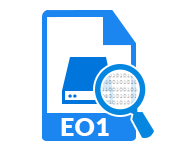 Many challenges come when to get evidence from EnCase EWF files but thanks to E01 file viewer Software." "Recently I faced a problem when I tried to get evidence from an EnCase EWF image files, the file can’t extract and closed automatically. I did lots of research on the web, then I found the best E01 file viewer tool. Thank You!"